Whereas the mediator shall always remain strictly neutral, irrespective of the mediation techniques used. The following rules shall be referred to as "Mediation Rules". They can only be amended by a majority of three quarters of the votes of the board of directors of the Center. 6. draft an annual report on the activities of the Center. The board of directors approves the persons whom it considers able to act as mediators. The board of directors has a discretionary power in the approval of persons that it considers proper to be included in the list of approved mediators. When taking such decisions, the Board may be motivated solely by the credibility in the perfect trustworthiness, competence and efficiency of the Center and of all persons approved as mediators. All approved persons may be designated as mediators and act as such if accepted by the parties to a dispute. The Board may only approve persons that it considers particularly qualified because of their experience as expert in a specific area and because of their professional experience in the conflict resolution. Such persons will satisfy all the conditions set by the Board and related to training and professional experience. Such persons must fully approve these rules, including the necessary discretionary power of the Board and its approval process. The Board may, if deemed useful, impose to candidate mediators, to attend a certain number of mediations as observers; it will coordinate the requests of the persons who wish to be observers. The Board may also require the mediators that would have acted less than five times as mediators, subject to rules of secrecy and signature of a confidentiality undertaking if necessary, to discuss mediations that they performed with a person that has already been approved as a mediator, who will act as their mentor in their learning process; the Center may request the mentors to report to it and to give their advice to the board of directors in that respect. Under exceptional circumstances, the Center may refer a mediation to a person that has not been approved, provided such person has a specific experience and a special knowledge of the legal or technical area in which the mediation must occur, and provided this happens with the approval of all parties involved. When requested to appoint a mediator, the Center will appoint a sole mediator; under exceptional circumstances and subject to the approval of all parties, the Center may designate a board of two or more mediators. The "intuitu personae" nature is of the essence of the mediator's mission. Mediators shall act fully independently and shall comply with the rules of ethics of the Center. Mediators shall maintain strict secrecy regarding facts that will be known to them to through mediation. The mediators approved by the Center shall have a duty to assist other persons in following practical mediation training by allowing them to attend mediation sessions, subject to secrecy and after signing a confidentiality undertaking if necessary. Such duty shall, however, not extend beyond requesting permission from the parties in a mediation and their representatives to have a silent observer attend the mediation sessions. A discretionary right to refuse is recognized to the participants in a mediation. The Center will communicate the list of approved mediators to any interested person. A written request to intervene may be addressed to the Center. When requested to act, the Center may, upon payment of its fees in accordance with its tariffs, contact the other party(ies) in the dispute, informs them about the mediation process and attempts to secure their approval in principle to participate in a mediation. The Center may also, at the request of the person by whom it is called upon, designate an approved person to act as mediator subject to acceptance by all parties to the dispute. This person may then get in contact with the other parties and try to obtain their approval to participate in a mediation. Parties may be assisted by the lawyer of their choice or by any counselor (other than a case handling agent that the mediator will approve as being able to assist in finding a negotiated solution to the dispute. A case handling agent is a person who, directly or indirectly, represents a party in violation of articles 675, par. 4, 728, §4 and 1694, 4° of the Belgian judicial code or who, even in a limited way, recovers claims or centralizes debts for his clients without having been appointed as a debt mediator in accordance with applicable statutory provisions. The mediator shall always have the right to refuse to carry on a mediation mission if a party is represented by a person that is not empowered to take decisions or if that party is assisted by a person whose presence the mediator believes will work to the detriment of the mediation process. The mediator is completely free in the way he exercises his mission. He organizes it as he deems useful and efficient. He must not comply with the principles of contradictory debate. He will, however, at all times, act with impeccable impartiality. 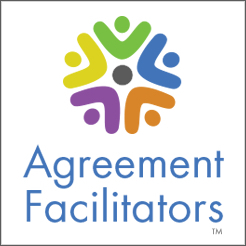 The mediator convenes with the parties, meets with them and speaks with them, separately if he deems it appropriate, and attempts to generate a discussion between them so that they can be brought to formulate proposals that may lead to an agreement. If he believes this might be appropriate, the mediator, acting prudently, may formulate suggestions or proposals for amicable solutions himself. Provided this meets with the approval of the parties, the mediator may be assisted by a co-mediator or by a technical expert in the subject matter of the dispute. The mediator shall, at the outset, obtain the approval of the parties to sign a mediation agreement, the draft of which shall be submitted by the mediator. The mediation agreement shall, taking into account the nature and importance of the dispute, determine the amount of the provision on fees and expenses that shall be due for the mediation. In principle, such provision shall be shared in halves by each party. - likely fees and expenses for the mediation; - administrative expenses incurred or to be incurred by the mediator; - a fixed amount, that shall be determined by the board of directors, aimed at covering the administrative expenses of the Center. When, depending on the development of the mediation, the mediator finds that the amount of the provision shall be insufficient to cover the total fees and expenses of the mediation, the mediator may ask the parties to make an additional payment. Such payment shall, in principle, be shared among them equally. The mediator shall, immediately upon the termination of the mediation, forward his statement of fees and expenses to the parties. Fees, expenses and disbursements as indicated above shall be borne by the parties in equal parts, unless they shall have agreed otherwise. All other expenses shall be carried by the party having incurred them. Recourse to mediation does not prevent a party from taking the provisional or conservatory measures that this party deems appropriate. If, in the course of the mediation, a party knows of a violation of these rules but carries on with the mediation without formulating reservations or making its disagreement known, that party shall be considered as having waived the right to rely on such violation. e) when the mediator, one of the parties or the Center is of the opinion that the mediation can no longer be pursued with the necessary serenity and impartiality. The mediator informs the Center of the termination of his mission and indicates whether or not an agreement has been reached. Mediation is a confidential process where confidentiality must be respected by all participants. Save with the approval of the parties, the mediator shall not accept to act as an arbitrator or a representative or counsel to one of the parties, in legal or arbitral proceedings relating to the dispute that has been the subject matter of mediation. The parties shall not summon the mediator to appear as a witness in such proceedings. d) all documents drafted in the scope of the mediation. They deny any evidential value as evidence elements as indicated above.